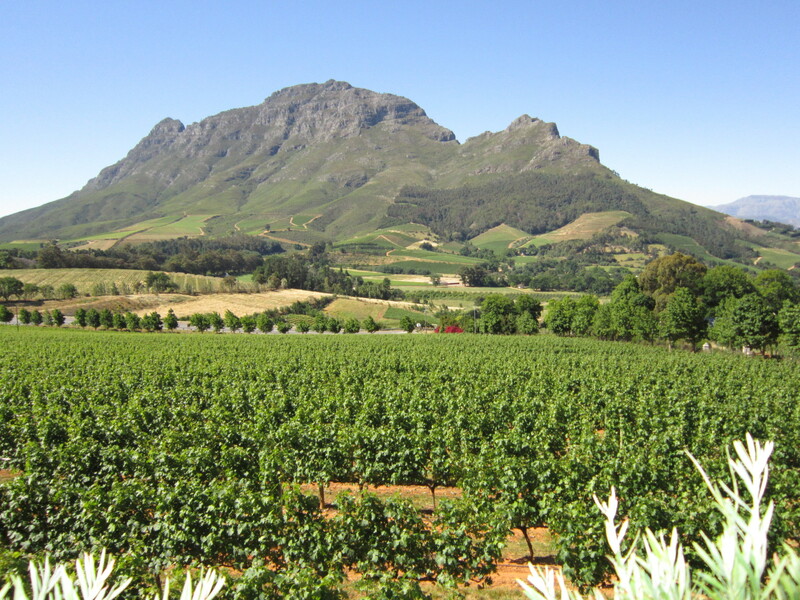 If you are a lover of the finer things in life, namely luxury hotels, exquisite food, and magnificent wines, then I can highly recommend you pack your taste buds and your “tastevin”, and head on down to Stellenbosch and the Winelands of South Africa. A pretty university town sitting approximately 50 kilometres from Cape Town, Stellenbosch was recently declared as the “Gourmet Capital of South Africa”, and with some 200 wine and grape producers in the region, it is easy to understand why sommeliers and connoisseurs from around the world flock to the ‘City of Oaks’ every year to taste its latest offerings. 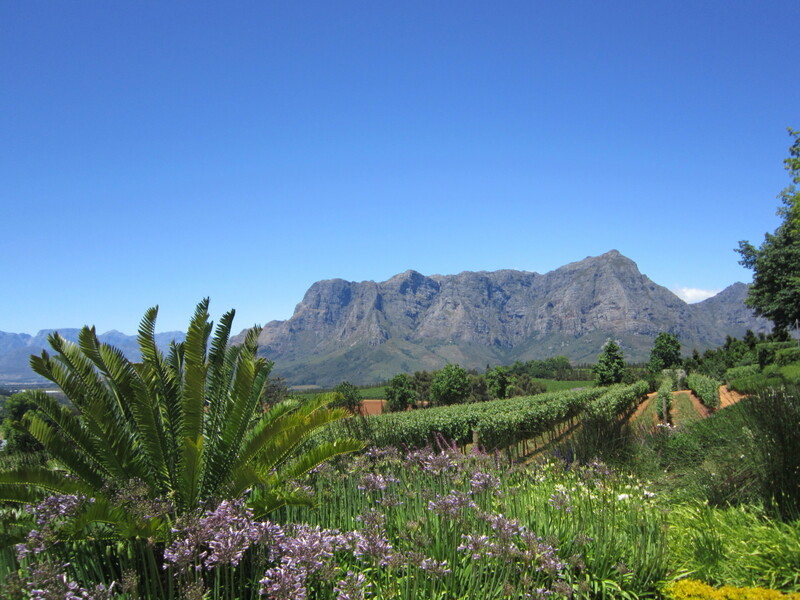 A town for all seasons, Stellenbosch is sunny and inviting in the summer months (December to March), cool and refined in autumn and spring, and warm and cosy during South Africa’s winter months when you get to enjoy a glass of Thelema’s Mint Cabernet Sauvignon in front of a roaring open fire (heaven!). 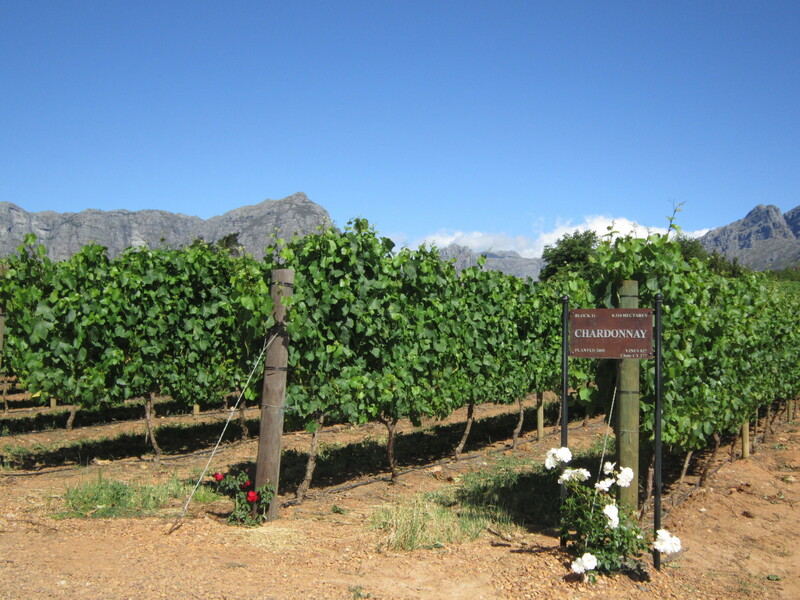 Many wineries in and around Stellenbosch have their own restaurants onsite, and by using locally produced ingredients, seasonal fruits and vegetables, and South Africa’s diverse selection of venison, game, fish and seafood, they create some of the most mouth-watering meals that work perfectly with the wine pairings on offer. When it comes to hotel accommodations, Stellenbosch has something to suit every budget and every taste, but there is a real emphasis on luxury in this region, and if you are looking for something extra special, you are sure to find it here. 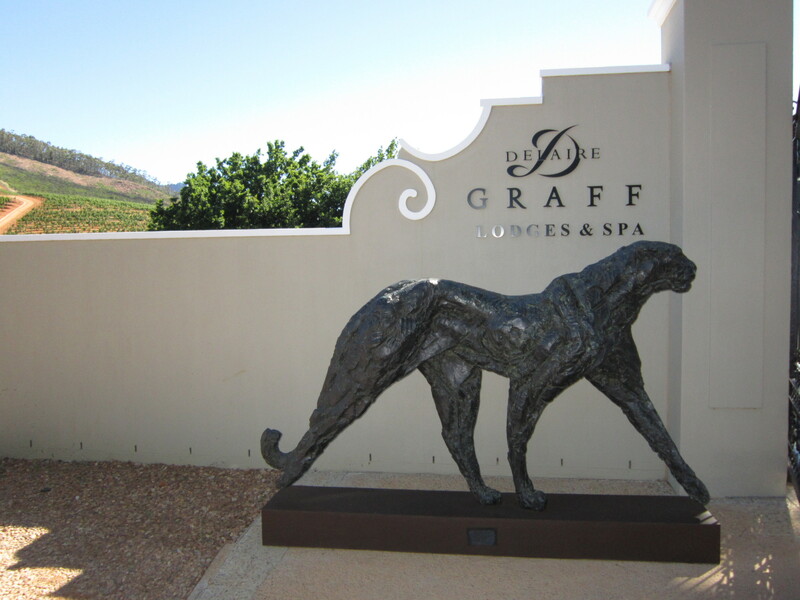 If you want to get away from it all and spoil yourself, the luxurious Delair Graff Estate will take care of your every need. With magnificent views, indulgent accommodations, and both Thelema and Tokara vineyards within walking distance – this is possibly the most opulent resort in Stellenbosch. If you like to be a little more central, the equally magnificent 5-star Coopmanhuijs Boutique & Spa in the heart of town will tick all the right boxes. Built in 1713, the Coopmanhuijs was one of the first grand residences built in the Stellenbosch region, and while it has been updated over the years to include the latest modern conveniences, it retains its classic charm. 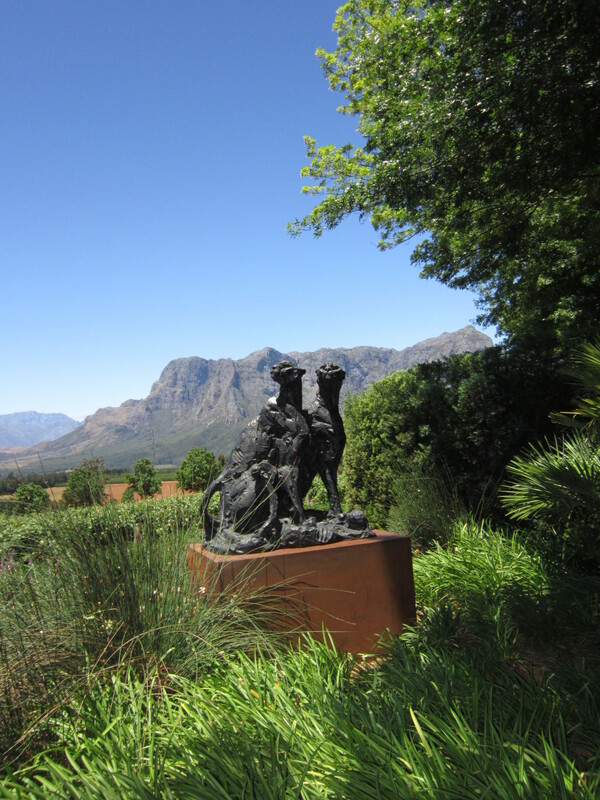 We might have 12-weeks to go until our next visit to Stellenbosch, but winter will be whole lot easier to bear knowing that a there is a bottle (or two!) of Kleine Zalze’s crisp Sauvignon Blanc waiting for our arrival! Previous Post Annoying Travel Habits – What Drives You Crazy? P.S. Top chefs from Germany, Switzerland and Scotland already discovered this region…. We don’t mind at all Herman – everyone is entitled to their opinion! this place is truly splendid…..can anyone who have heard about Africa or not travelled can ever imagine there exist some place in Africa…so very beautiful!!!! A cloth recliner set in the shade of these lovely trees overlooking this vista and wine with something cheesy to eat. Divine.